laser clay pigeon shooting ! 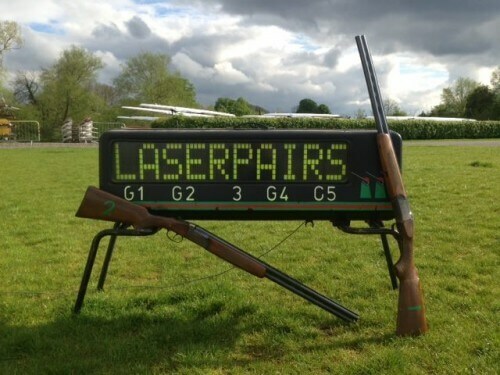 Laser clay pigeon shooting can be played indoors or outside. 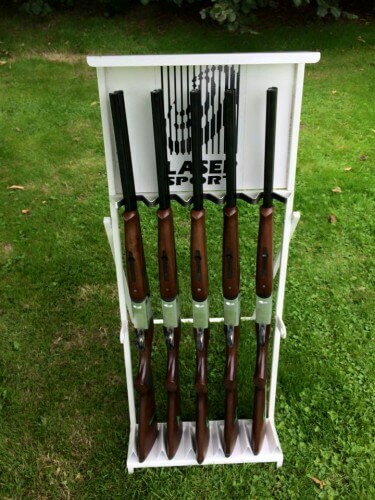 We are proud to be one of the few mobile operators using the Brand new MK3 laser clay laser clay pigeon shooting systems. The players use a realistic shotgun to fire an infra-red laser beam at clays launched from an automatic clay launcher. When the shotgun trigger is pulled, the control module scoreboard generates the shotgun “BANG”‘ and when a player hits the clay target it reproduces the sound of a breaking clay. 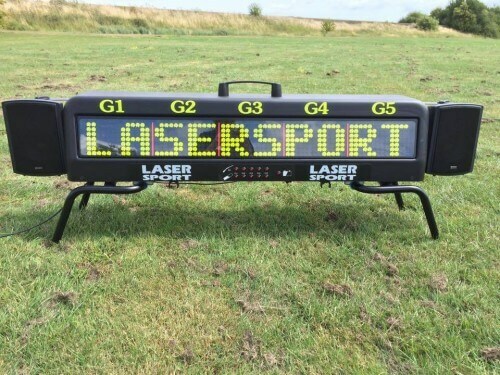 As with any sport, there are different levels and classes of Laser Target enabling it to be played by everyone. 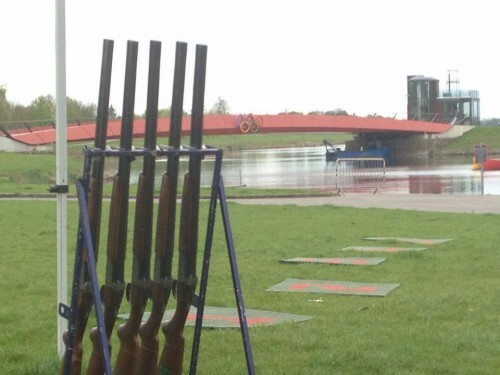 Each round consists of 10 clays being launched and up to 5 people can shoot at the same target launched from a number of different positions at various speeds and angles. Laser clay shooting can be played indoors or out of doors, during the daytime or at night. 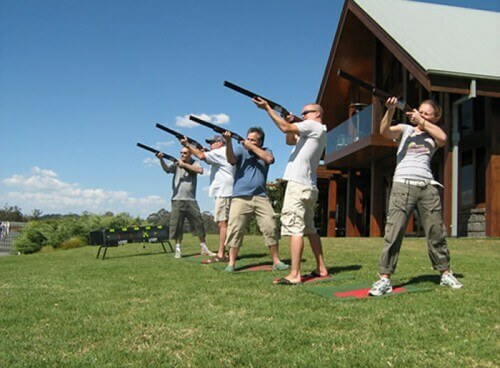 Laser clay pigeon shooting is very safe for participants and spectators. The guns have been deactivated so there is none of the danger associated with live ammunition. The sound is also fully adjustable so there is no risk of damage to hearing and there is no ‘kick’ from the gun when it is fired. 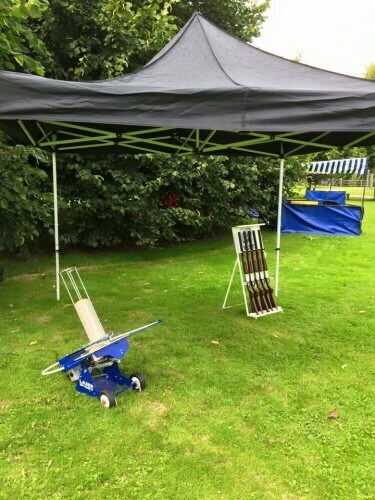 The laser clay pigeon launcher is housed behind a protective barrier so there is no possibility of participants coming into contact with flying clays, and the event is fully supervised to ensure all participants are safe. I’m just writing to say a massive thank you for your services and help on Saturday. The two lads you sent down to set-up and break down were excellent and both had brilliant attitudes, a really good advert for your company! 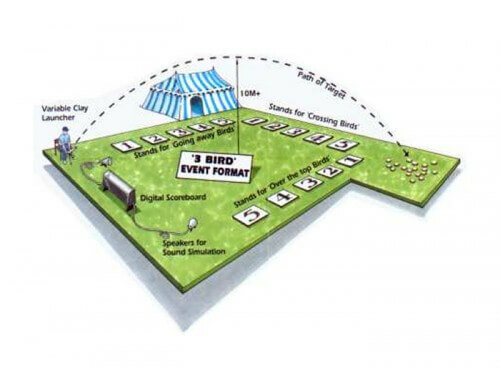 Hopefully we can stay in contact for any future events.